A few decades ago, audio cassettes were the primary medium to preserve important conversations or songs. But with the advancement of technology, audio tapes have fallen way behind and CDs have taken their place. The problem with audio cassettes is that they start deteriorating after some time and cassette players are becoming obsolete. If you have something important stored in your audio tapes, it is a good idea to transfer your cassettes to CD. To transfer cassette to CD, all you need is to connect your cassette player to your computer’s sound card and then record the audio on the PC in WAV or MP3 format. After that you can transfer these audio files to a CD. 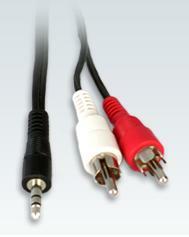 However, in order to convert audio tape to CD, you need to have few important things and these are: a “Y” stereo adapter cable with RCA connectors at both ends, a computer with sound card (most computers come installed with one. If you can hear music on your computer, you have a soundcard installed), sound recording software and a cassette player with audio RCA output. Well, when you have all these things in place, you can start to convert audio tape to CD by following these 5 simple steps. Step 1. Take your audio cassette that you want to transfer to CD and insert it into your tape player. Play the cassette to ascertain if it is in working condition and the sound is clearly audible. Step 2. Now take the RCA connector and connect its one end to your cassette player. Follow the color code of the plug to connect appropriately. The other end of the connector needs to be connected to the sound card of your PC (connect it to the line in of the sound card). After executing these connections, turn on both your PC and the cassette player. Step 3. Now open the sound recording software in your computer. There are several sound recording software and you can use any of them. Audacity is one of my favorite free software, which not only records, but also allows you to edit the recorded audio. Click on the ‘record’ button of your software. In most of the sound recording software, this button can be found with a red dot on it. After that push the “play” button on your cassette player. The software will start recording audio on your PC which is coming from the cassette player. Step 4. Once the recording is done, click the “stop” button of your software. Mostly it can be located as a black square. Then save the audio file by clicking on “File” and then “Save”. You can choose a file a name to save the file at any location on your PC. Step 5. After saving the file, you may do some editing, if you want to. By editing, you can cut out silences, track errors etc. When you are finished with your editing, the file is ready to transfer to CD. Insert a blank CD into your computer’s CD writer and burn your CD. Your transfer of cassette to cd is complete! 2. Before playing the cassette, clean the cassette player’s head with a cleaning solution. 3. 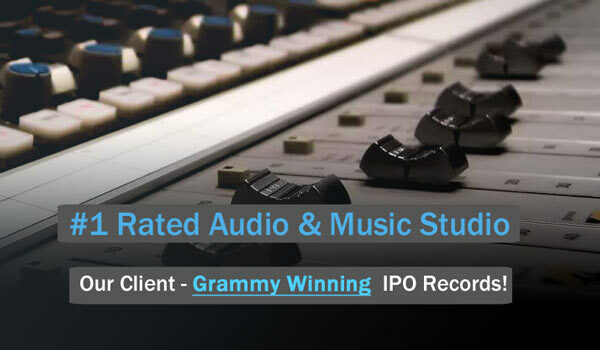 For professional quality transfers, it is recommended that you use a high end audio interface, very good software and very good quality connectors. The quality of the final transferred file depends a lot on all these factors. Otherwise be ready for lot of hiss and hum plus generation loss while transferring.